Our shop does embroidery and laser engraving. Laser engraving is a beautiful process for fabric, as nothing cuts cleaner and more precisely than a laser. We now carry a nice array of fabric as well to compliment the abilities of the laser. Encourages the practice and study of the art of embroidery in all forms. Gitta's, named after owner Gitta Al-Basi, nestled in the east village of Port Credit, is the place where stitchers meet with their stitching friends, shop for stitching supplies and see the new stitching designs from Europe and the United States. Creativ Festival (formerly Creative Sewing and Needlework Festival) since 1988 has been offering an unbeatable combination of tantalizing shopping and dynamic instruction. Celebrate the art of creating your own personal style. Kelly’s Creative Sewing Nova Scotia. Our primary business is constructed of sales in high-end domestic embroidery, sewing machines and sergers. In addition we do offer a variety of educational programs. Our one-of-a-kind store, offers everything you need for sewing, quilting, knitting, rug hooking and needlework. The Stitcher's Muse Needlart is a needlework supply shop that carries a wide variety of patterns, fibres, fabrics, and embellishments for many different kinds of needlework and lace making, for all your creative projects. 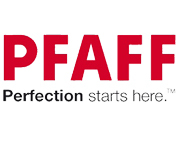 Your authorized PFAFF & Husqvarna/Viking dealer offering sales, service & parts. Select fabrics, notions, a variety of classes & more. Experienced, friendly & helpful staff. 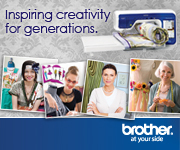 Your one-stop shop for garment-making, embroidery, quilting & needlework. Your Premier Canadian Source for Specialty Sewing Supplies including Smocking, Heirloom Sewing, Goldwork, Silk Ribbon Embroidery, Needle Tatting, Swarovski Crystals, Sashiko, Quilting and more. Visit the website for the latest in sewing supplies.